Just because the home buyer has agreed to pay a certain price for a home, doesn’t mean that it will appraise for that price. Lenders will use the lower of sales price or appraised value when it comes to underwriting a mortgage. An appraiser relies on other similar homes that have recently sold (and closed), located near the subject property to be “comparables” (aka comps) to create an appraised value. Because the comps are homes that are closed transactions, they are typically at least 30 days to a couple months old. In a market where sales prices are escalating, appraisals often lag behind with values. Depending on how the purchase and sales agreement is written, a home buyer has different options. According to the article, the buyers waived their appraisal contingency and the home appraised in the middle of $600,000 to $700,000. That makes me think that the buyers are not paying cash and are obtaining financing. Let’s assume (based on the information in the article) that the home appraised for $650,000. 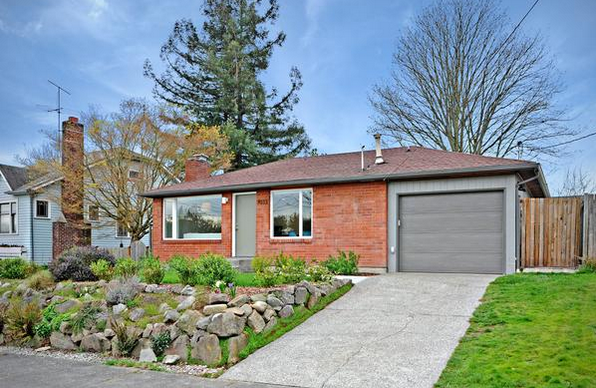 That means that the lender basically will use $650,000 for the sales price of the home. With the actual sales price of $717,000 buyers will need to bring in $67,000 to make up the difference. This is in addition to what ever down payment they have with the mortgage program they have selected. Get preapproved with a local licensed reputable Loan Officer. Where the financing is and who the lender/loan officer is may influence which offer is accepted. The Listing Agent and Seller want to make sure that the transaction has high odds of closing…and an out of state bank or mortgage company may reduce your odds of an acceptable offer. Make sure your Loan Officer is available and willing to contact the Listing Agent once the offer is presented. This is something that I will do for my clients, upon request. The Loan Officer cannot discuss any of your personal information with the agent without your permission – so have this discussion with your Loan Officer to determine a strategy. Try to give your Loan Officer as much notice before making an offer so that you can review several price points with your mortgage professional to see what different payments and down payments will look like in the event you wind up in a bidding war. Some of my clients have been looking for months in this market. Shopping for a home in greater Seattle/Bellevue has almost become a competitive sport. If I can help you with your purchase or refinance of a home located anywhere in Washington state, I’m happy to help you! PS: If you have been considering selling your home, I highly recommend you contact a real estate broker. You may be surprised at what your home could sell for in today’s market.